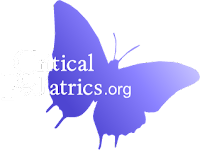 Cracking code of theory: Evaluation of the Infant or Child with Congenital Heart Disease. "Currently persuing DM in medical oncology from JIPMER, completed DNB from Kanchi Kamakoti Child Trust Hospital with a GOLD MEDAL, has great academic interests, contributed about 9 chapters in scott pediatriks clinical methods and is one of the co-author at dnbpediatrics.com"
2. Whether the chest radiograph shows evidence of increased, normal, or decreased pulmonary vascular markings. The final diagnosis is then confirmed by echocardiography, CT or MRI, or cardiac catheterization. The pathophysiologic common denominator in this group is communication between the systemic and pulmonary sides of the circulation, which results in shunting of fully oxygenated blood back into the lungs. Shunt can be quantitated by calculating the ratio of pulmonary to systemic blood flow, or Qp : Qs. “Thus, a 2:1 shunt implies twice the normal pulmonary blood flow”. The increased volume of blood in the lungs decreases pulmonary compliance and increases the work of breathing. Fluid leaks into the interstitial space and alveoli and causes pulmonary edema. The infant acquires the symptoms we refer to as heart failure, such as tachypnea, chest retractions, nasal flaring, and wheezing. The term heart failure is a misnomer, however; total left ventricular output is actually several times greater than normal, although much of this output is ineffective because it returns directly to the lungs. To maintain this high level of left ventricular output, heart rate and stroke volume are increased, mediated by an increase in sympathetic nervous system activity. The increase in circulating catecholamines + the increased work of breathing causes an elevation in total body oxygen consumption, often beyond the oxygen transport ability of the circulation. Such oxygen consumption leads to the additional symptoms of sweating, irritability, and failure to thrive. Remodeling of the heart occurs, with predominantly dilatation and a lesser degree of hypertrophy. If left untreated, pulmonary vascular resistance eventually begins to rise and, by several years of age, the shunt volume will decrease and eventually reverse to right to left /Eisenmenger physiology. Regurgitation through the AV valves is most commonly encountered in patients with partial or complete AV septal defects (atrioseptal defects, AV canal). In these lesions, the combination of a left-to-right shunt with AV valve regurgitation increases the volume load on the heart and leads to more severe symptoms. Isolated regurgitation through the tricuspid valve is seen in Ebstein anomaly. Regurgitation involving one of the semilunar valves is usually also associated with some degree of stenosis. However, aortic regurgitation may be encountered in patients with a VSD directly under the aortic valve (supracristal VSD) and in patients with membranous subaortic stenosis. may affect systolic contractility or diastolic relaxation, or both. Decreased cardiac function results in increased atrial and ventricular filling pressure, and pulmonary edema occurs secondary to increased capillary pressure. The major causes of cardiomyopathy in infants and children include viral myocarditis, metabolic disorders, and genetic defects. Pathophysiologic common denominator of these lesions is an obstruction to normal blood flow. 4. Less common are obstruction to ventricular inflow: tricuspid or mitral stenosis and cor triatriatum. Ventricular outflow obstruction can occur at the valve, below the valve (double-chambered right ventricle, subaortic membrane), or above it (branch pulmonary stenosis or supravalvular aortic stenosis). Unless the obstruction is severe, cardiac output will be maintained and the clinical symptoms of heart failure will be either subtle or absent. This compensation predominantly involves an increase in cardiac wall thickness (hypertrophy), but in later stages it also involves dilatation. These lesions must include both an obstruction to pulmonary blood flow ( right ventricular or pulmonary valve level) and a pathway by which systemic venous blood can be shunted from right to left and enter the systemic circulation (via a PFO, ASD, or VSD). In these lesions, the degree of cyanosis depends on the degree of obstruction to pulmonary blood flow. These patients may have hypercyanotic (“tet”) spells during conditions of stress. If the obstruction is severe, pulmonary blood flow may be dependent on patency of the ductuc arteriosus. When the ductus closes in the 1st few days of life, the neonate experiences profound hypoxemia and shock. This group of lesions is not associated with obstruction to pulmonary blood. Cyanosis is caused by either abnormal ventricular venous and pulmonary venous blood within the heart. Transposition of the great vessels is the most common of the former group of lesions. Total mixing lesions include cardiac defects with a common atrium or ventricle, total anomalous pulmonary venous return, and truncus arteriosus. In this group, deoxygenated systemic venous blood and oxygenated pulmonary venous blood mix completely in the heart and, as a result, oxygen saturation is equal in the pulmonary artery and aorta. If pulmonary blood flow is not obstructed, these infants have a combination of cyanosis and heart failure. In contrast, if pulmonary stenosis is present, these infants have cyanosis alone, similar to patients with the tetralogy of Fallot.